Good news for sea turtle conservation came from East Borneo. Approximately 10.000 turtle eggs which was about to be smuggled into East Borneo, particularly Samarinda, has been thwarted since 2012. In early May, an effort to smuggle 1.880 eggs from Bau-Bau, Southeast Sulawesi, to East Borneo via Semayang harbor Balikpapan, was foiled. Last week, a dealer in Samarinda got arrested before he started the business, and 500 eggs was confiscated. On 2012, it was recorded that there were 5 terminated smuggling efforts, all came from Southeast Sulawesi and headed for East Borneo. In total, about 7.500 eggs got confiscated. "This is an amazing number," said Danang Anggoro, the head of Conservation Section, Nature Conservation AgencyRegion III East Kalimantan as mentioned in Kompas (4/62013). 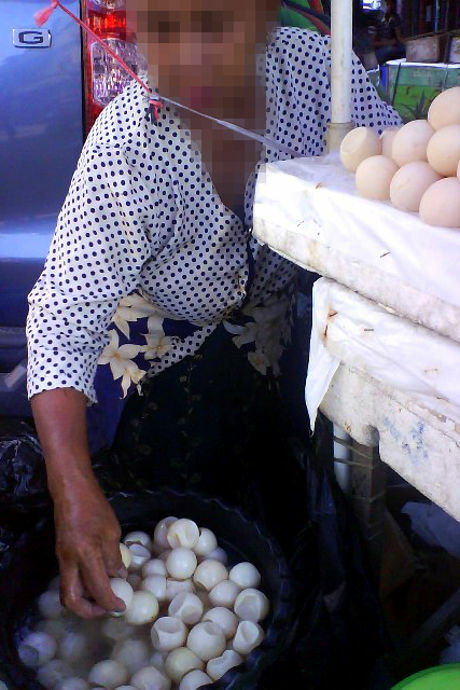 Turtle eggs in the market around Samarinda are suspected to come from Bau-Bau, Southeast Sulawesi. However, some parties ensured that those eggs came from Derawan, District of Berau, East Borneo. In Bau-Bau each egg worth IDR1.000 while in Samarinda the price could be around IDR 10.000-12.000. The eggs are believed to have a power to boost the consumers' physical stamina. Before 2010, ProFauna Indonesia published a survey about the mounting turtle eggs trade in Borneo. From 29 locations visited across Borneo, 18 (62%) of them have eggs trade. On 1 February 2011, ProFauna was invited to a meeting attended by representatives of Ministry of Marine Affairs and Fisheries, Ministry of Forestry, and Ministry of Home Affairs to discuss the effort of sea turtle conservation and prevention of illegal trade of turtles and their derivative products (shells, meats, and eggs). The result of the meeting was then followed up by a letter issued by the Ministry of Home Affairs no. 523.3/5228/SJ, concerning the management of sea turtles and their habitats which instructs all governors in Indonesia to support the protection of sea turtles in each province. The letter was then followed by law enforcement in many areas, including the positive-resulting one in East Borneo.